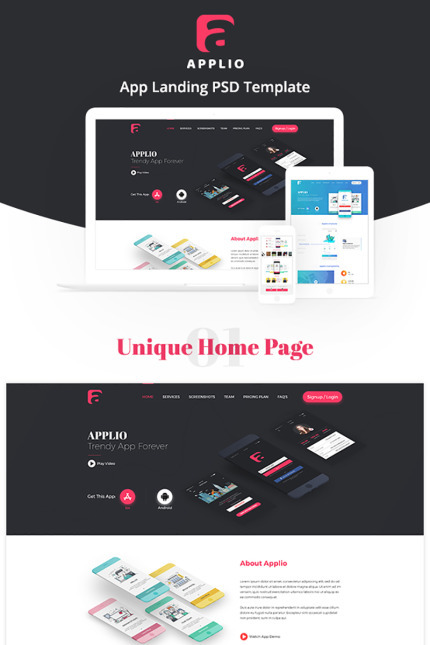 Applio - App Landing HTML Template is a uniquely HTML template develop in HTML5. It has clear and simple design for best visual appearance and elegant feel. The Theme also has ultra responsive design that make the layout looks good in any screen size, Thus impacting great content accessibility. HTML files are well organized and named accordingly, So its very easy to customize and update any time.